We have 18 pairs in the Elk River Chain of Lakes Watershed this year: 7 pairs did not nest, 3 pairs nested on natural islands and 8 pairs nested on platforms. So far, 4 of the nests on platforms have produced 6 chicks. 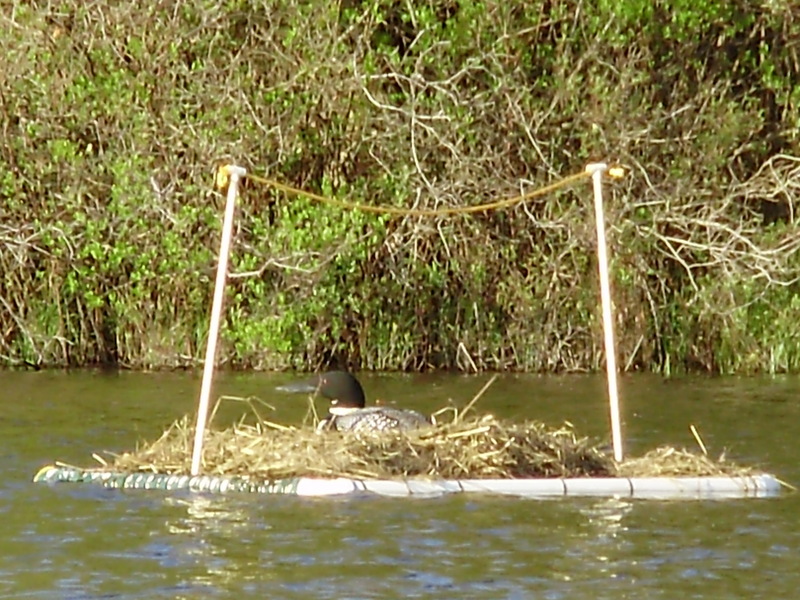 Thanks to all of the loon specialists for braving the elements to install the platforms this spring.